Originally the Lambeth Methodist Chapel, the building was converted for a pioneering venture by the Rev. Thomas Tiplady in 1928, to widen the influence of the church through Cinema Evangelism. 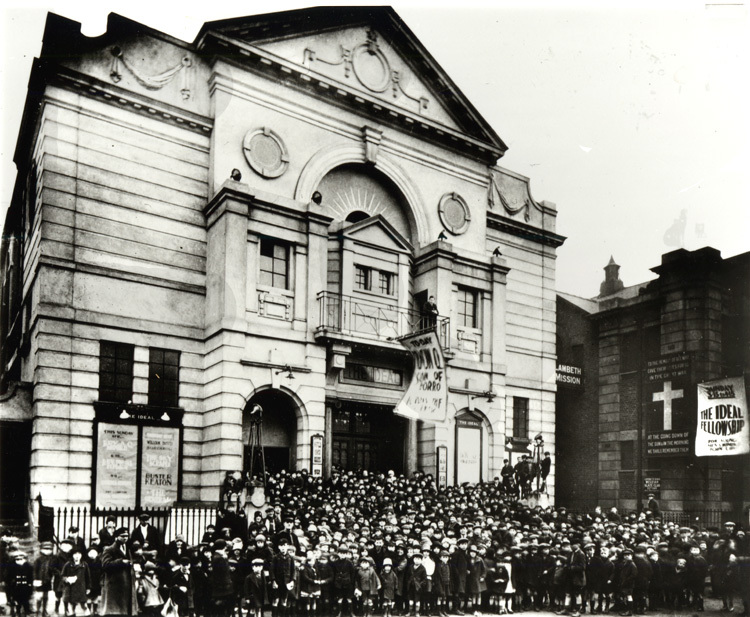 It was bombed during World War II and replaced by the Methodist International House in 1968. 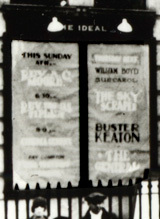 This view shows a crowd of children outside the cinema for the evening service and the film that followed. The Mission can be seen to its right.